Kalchem International was founded in may of 1999 and is a chemical re-packager. The co-founders of Kalchem are Charlotte, Kalyn, and Kohen Tabor. Charlotte Tabor has managed a retail drug store for over 37 years in Lindsay, Oklahoma; her drug store boastes a lovely gift department. Kalyn Tabor is a registered nurse who worked eight years as a nurse manager of a surgical unit in Oklahoma City. Kalyn also has a masters degree in business administration and has been managing Tabor Home Medical Services for the past three years. Kohen Tabor is a registered pharmacist and has worked in various positions throughout the business. Kalchem International Imports a wide range of products from different locations around the world. By using a variety of companies as sources, Kalchem creates a competitive atmosphere which allows them to give their customers the lowest price available. Kalchem can source anything from chemicals and capsules to equipment. Schedule II and III narcotics are also available for consumers. Kalchem International is a full line chemical company and can provide you with all your pharmaceutical compounding needs. Although Kalchem is a price competitive company, they do not sacrifice quality. When Kalchem receives a product, it is placed in quarantine until a sample of the chemical can be sent to a research lab and checked for correctness and potency. All chemicals are measured against a USP standard, and many of the analyzed products have tested to be better than the standard. Kalchem accepts nothing but the best. We here at Kalchem are very proud of the quality products that we sell, and are pleased that they can be delivered to our customers at reasonable prices. 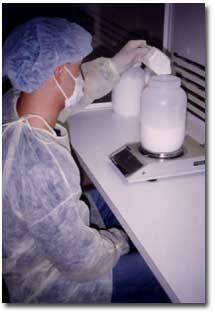 Kalchem can also assist you with any formulation questions you may have. If you would like to receive a pamphlet containing chemicals and prices, please call 1-888-298-9905. 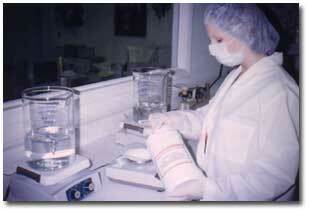 We are glad to help you with any of your compounding questions.